There's probably a reference to be made here about League of Legends, but the only gaming legend I know is Zelda and even then, I'm hardly into any sort of RPG. No matter your gaming preference, you should be happy to hear that the new GIGABYTE AERO 15 X takes all the best from its predecessors and steps it up a level with NVIDIA GeForce GTX 1070 graphics. Yes, that's some gaming grade graphic processing potential in a package that still adheres to the company's Max-Q design. What this means is that you are able to enjoy a really high-end gaming experience in a laptop that's super slim and svelte at just 1.9cm of thickness with a bezel around the display that's a mere 5mm. Slick, understated, and remarkably impressive. In addition to the NVIDIA GeForce GTX 1070 graphics with 8GB of GDDR5 memory, the AERO 15 X also boasts a 7th-generation Intel Core i7-7700 HQ processor with dual-channel DDR4-2400 RAM, dual M.2 PCIe x4 SSDs, Thunderbolt 3 connectivity for speeds up to 40Gbps, a full-size keyboard with 16.8 million color per-key RGB backlighting, and true color reproduction with X-Rite Pantone on the full HD 1920 x 1080 WVA display. 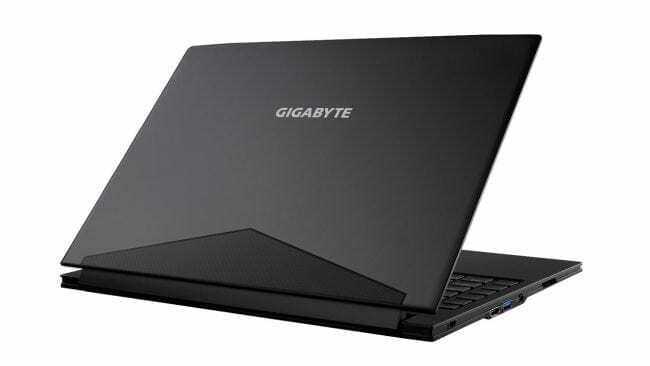 Expect the upgraded GIGABYTE AERO 15 X to start shipping this month, arriving in the hands of end users around the middle of next month.